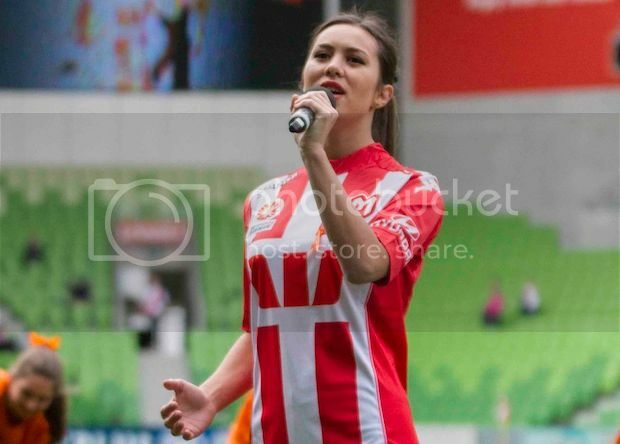 Melbourne Heart FC was proud to celebrate and be a part of Harmony Day and Cultural Diversity Week with a number of exciting events over the weekend. Heart was present at the Viva Victoria festival at Federation Square on Sunday, with a portable Action Arena and a stall. 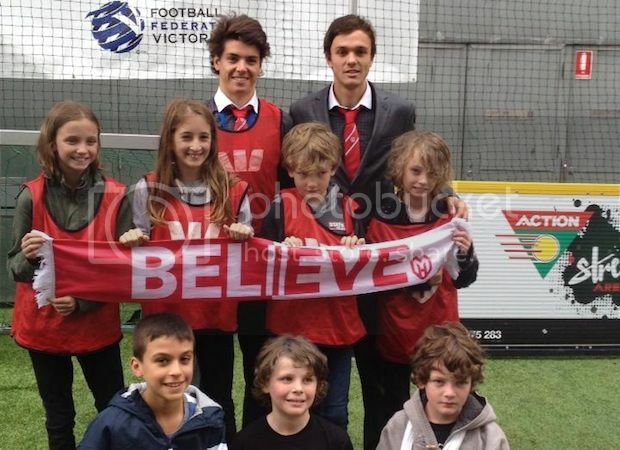 Players Jeremy Walker and Sam Mitchinson were involved in the day, signing autographs and meeting fans young and old. 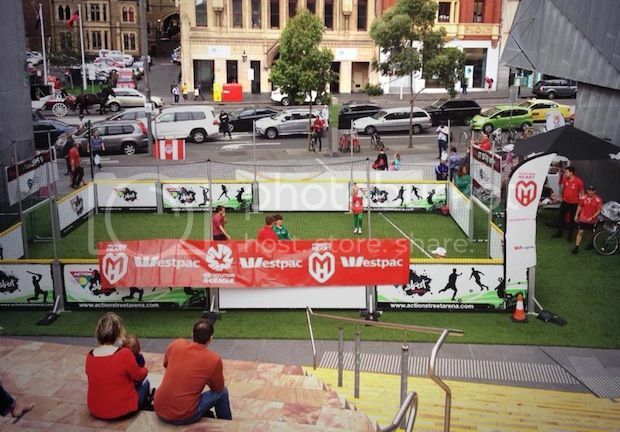 The Asian Cup, which will be contested in Australia in 2015, also came to visit Melbourne Heart site at the festival, giving fans a chance to see the cup in person. 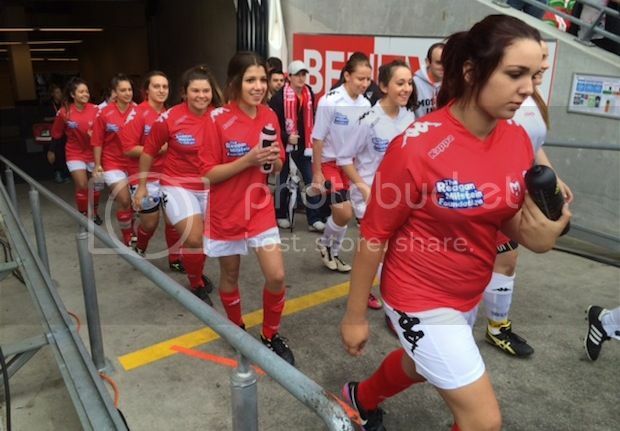 While all that activity was happening at Fed Square, the Girls with Heart (GWH) curtain raiser was being played down the road at AAMI Park. Girls from a variety of cultures and faiths from local schools and clubs in the Northern suburbs and from our GWH holiday program combined to enjoy a fun and skillful match. 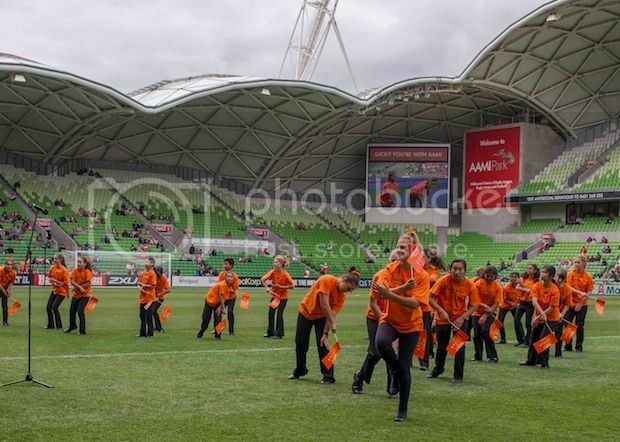 In keeping with the Harmony celebrations, the Balwyn High School choir performed the song “I am Australian” prior to kick-off against the Central Coast Mariners. “Melbourne Heart has celebrated Harmony Day and Cultural Diversity Week each year,” said Sue Crow, General Manager - Community at Melbourne Heart FC. “As an inclusive club, we are proud to showcase and celebrate the diversity of our players and fans.